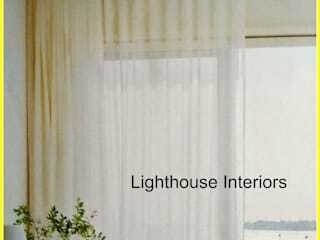 Lighthouse Interiors brings the showroom to you! We are your one stop blinds and curtains supplier. Our advantage is to offer our clients suitable window treatments with exceptional service and competitive prices. Expect attention to detail from the get go! With more than 20 years' experience in the industry, you are in save hands. See our extensive range of curtains and blinds products. Always staying on-trend with the latest designs. Our experienced workshop manufactures hotel quality curtains: eyelet, wave, ripple, pinch pleat, pencil pleat, regis, sheer, black-out, tab top, valance, classic curtains, goblet, swags and tails and smocking curtains. Choose quality fabrics from reputable fabric houses in Kramerville Sandton. Get designer curtain hardware: rods, motorized rails, finials and tiebacks. Most comprehensive range blinds: wooden, faux wood, venetian, aluminium, sliding panel, double roller vision, roller, vertical, roman, woven wood, bamboo, blackout, outdoor, patio and motorized blinds. Fantastic service for all your Curtains and Blinds needs! See our REVIEWS from all our happy clients.